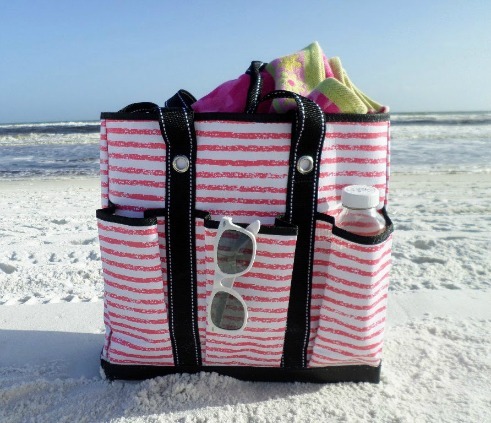 Beach Tote Bag - Looking for Large, Waterproof, Canvas or Cute? Whether it's canvas, mesh, or straw, a beach tote bag keeps all of your stuff together in one place. 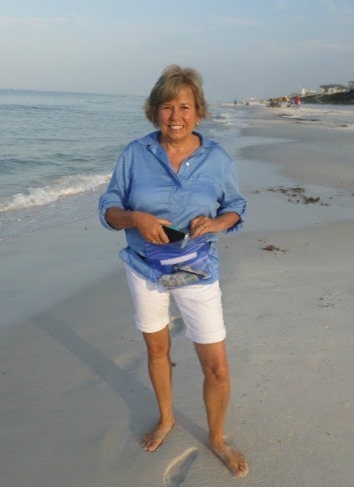 With inside and outside pockets, comfortable carrying straps and lots of room for beach towels and gear, be sure to put this on your list of things to pack for the beach. If I have one, I have at least 7 large totes by Scout. Another favorite of mine is the BJ Bag. This tote comes with outside pockets for easy access and tons of space to stuff your beach accessories. With a variety of designs to choose from, over 12, if you happen to like the one in the picture it's called High Tied. 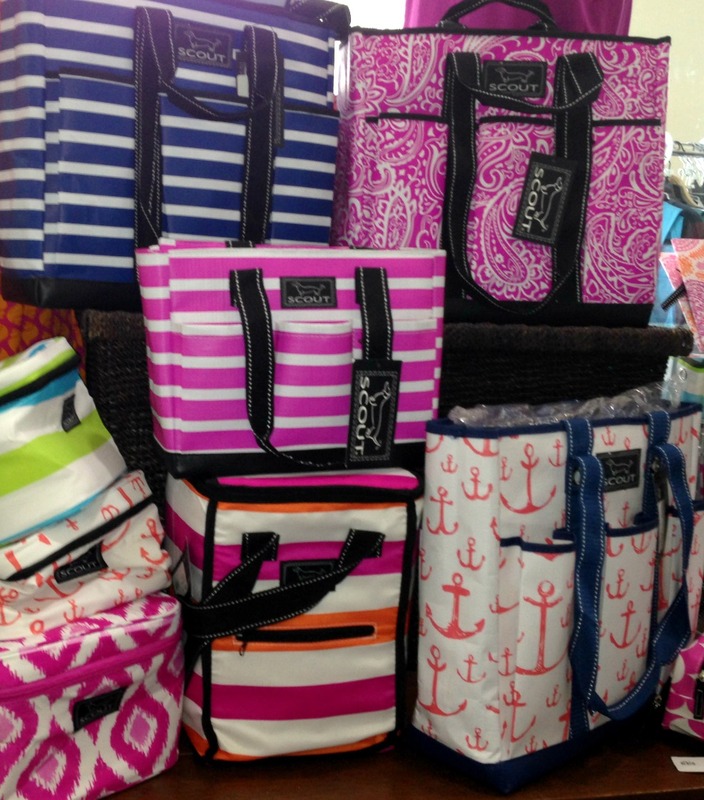 Don't you just love the bright colors and fun designs of Scout's designer beach totes? It's all in the details including fine stitching along the top of the bag and high quality all weather woven fabric. This beach bag is REALLY LARGE - it measures 24" wide by 19" high and 12" deep. The fabric is water resistant, lightweight and durable. Just wipe off any sand or dirt with water to clean it. The bag folds flat when not being used so it doesn't take up much storage space. Bring this designer beach tote bag to the beach, pool and on your next vacation. SCOUT bags bring together design and function. They offer a variety of styles, sizes and designs. The anchor pattern is my favorite. Lots of exterior pockets and heavy duty straps will make this brand your favorite beach bag tote. An interior key ring will hold your keys and reinforced handles are sturdy and strong. Wipe it clean with a damp cloth. 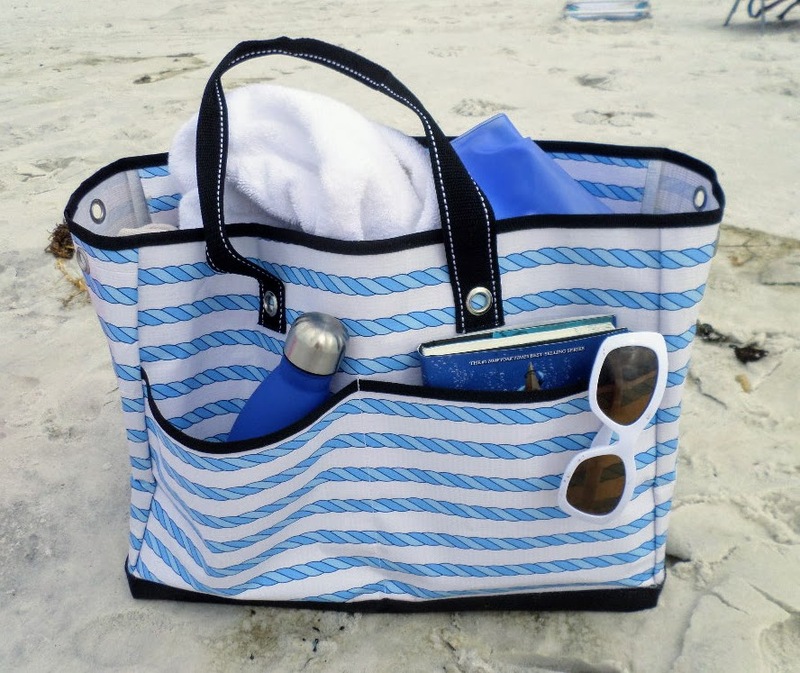 Beach bag totes with lots of outside pockets makes it easy to grab your water bottle or find your sunscreen lotion. This colorful beach bag is waterproof and light weight plus large enough to carry your beach towel and other beach supplies. 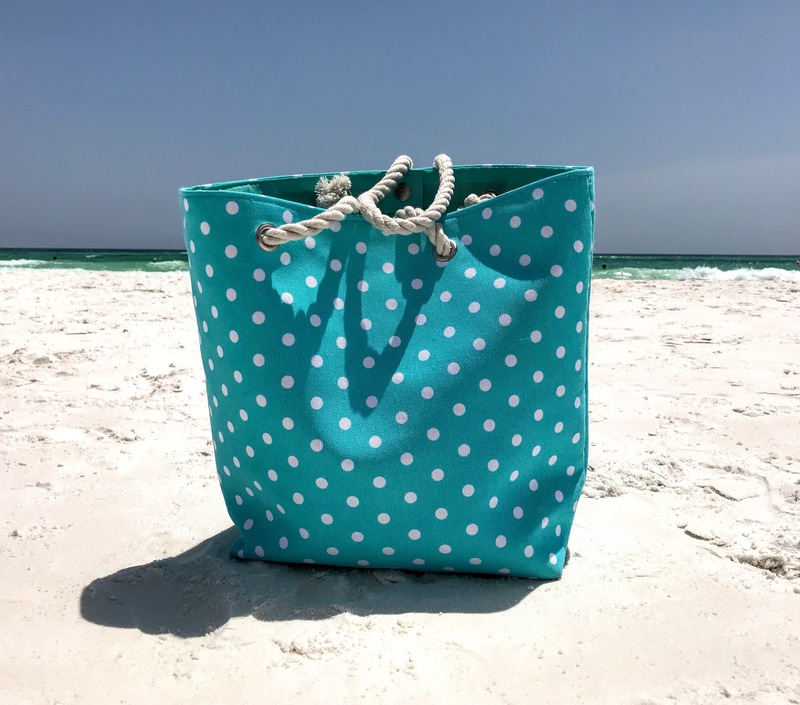 This cute canvas beach bag has a pop of color with my granddaughter's favorite beach color - turquoise. It comes in a several colors and is water resistant. It is also fully lined making it easy to clean any sand that might find it's way in. 1. Two outside pockets to hold a water bottle on one side and sunscreen on the other. 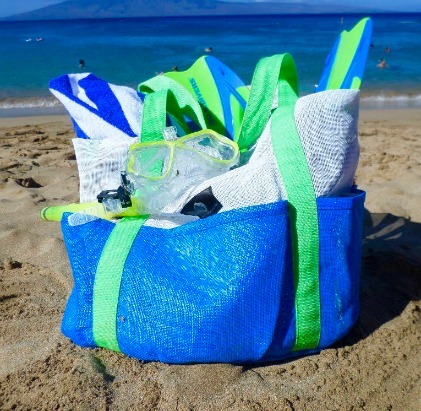 What we like about this mesh beach bag is that it's really large so it can carry our snorkel gear and towels and 9 outside pockets make it easy to find our sunscreen lotion, water bottles and sunglasses. Sand sifts right through and for easy cleaning just hose it off. 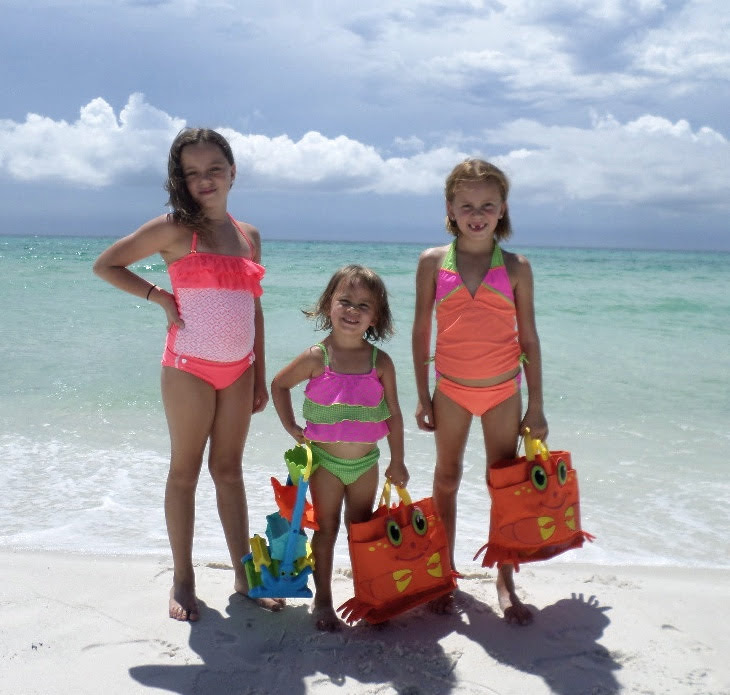 Provide beach bags for your kids so they can carry their own beach toys to the beach. Melissa and Doug totes have a mesh bottom for the sand to flow through and the air to circulate. It comes in the bright orange crab design or an ocean blue octopus and carries just enough essentials so the bag doesn't become too heavy. If you are looking for LARGE - this is it. Measures a full 22" in width (and 16"high and 6" deep) - so it's great for hauling stuff to the beach. It features two pockets - an open pocket on the outside and a zippered pocket on the inside. 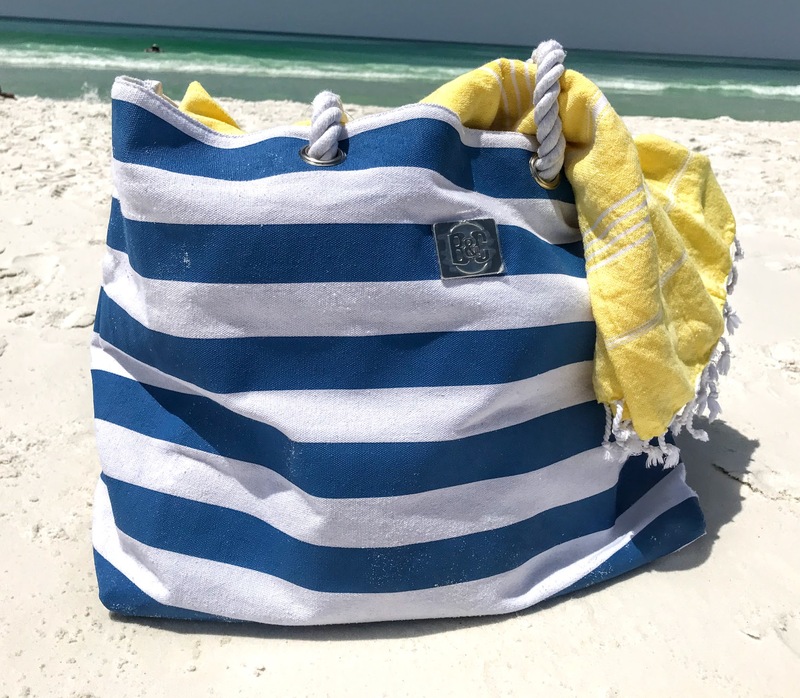 Made out of sturdy, thick cotton canvas it will hold up to many trips to the beach and I might add thanks to the comfortable shoulder straps it This roomy bag will fit several towels, beach toys, snacks, and cover ups. Offered in several different colored bands of black, red, royal and navy blue, you don't need to spend a lot for this classic look. 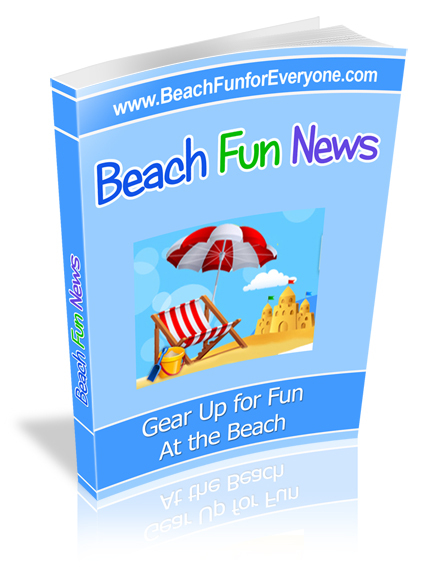 Do you like to see what all you have packed in your beach tote bag? If so for less than $10 see all you want with this transparent PVC bag. Zip it all up with the full zipper across the top but keep small items handy in the outside pocket. It measures 19 inches wide x 14 inches high with a 6 inch gusset. The tote is strong and sturdy enough to stand up on it's own - don't be afraid to pack your sunscreen, lotion or water bottles in this easy to see and clean bag. I love stripes and this designer beach tote offers two striped options of black and beige or red and white. Measuring a width of 18", height of 11 inches at 4.7 inches thick, it's not as large as other beach bags, but what it lacks in size it makes up for in style. An attached zippered pouch will keep your phone and wallet safe and protected. Made of canvas with faux leather handles, it has a an inside zippered pocket and two other open pockets. 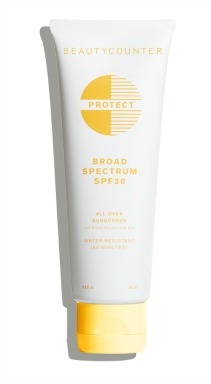 Large enough to carry a towel, sunscreen, sunglasses and a few other beach essentials. Use it all summer as a large purse and just wait for the compliments. Water resistant with a cotton rope handle, this striped bag looks great at the beach or for any summer occasion. 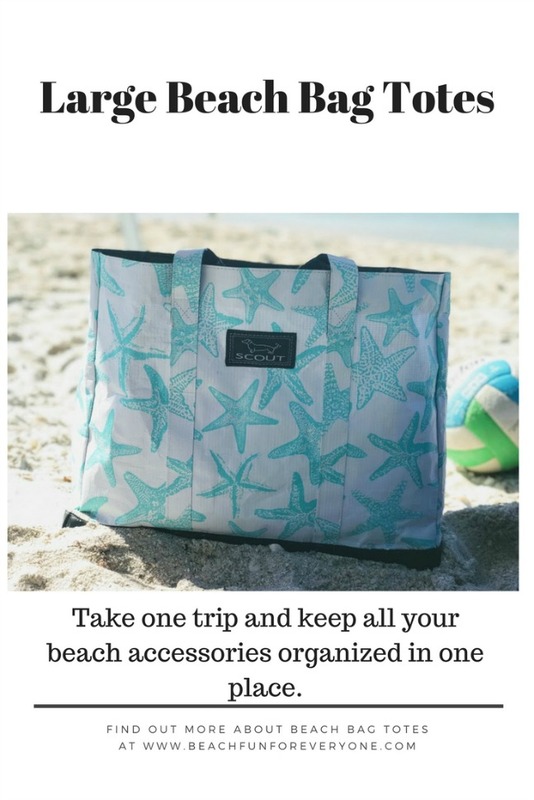 An inside pocket secures your cell phone and wallet while the large size canvas bag can accommodate your beach towel, sunscreen, sand toys, magazines and more. Pack it in your suitcase for travel or use it for day trips to the beach. Sturdy fabric means it sits upright and a plastic lining keeps your items protected. If you are looking for extra-large, this bag is for you. It measures 14" tall, 8" wide and 11" depth. There are 5 large outside pockets and a zippered pocket and key ring on the inside. The mesh fabric is durable, waterproof and fade and mildew resistant. To clean simply rinse with fresh water. It comes in three color choices of aqua, royal blue and pink. This waterproof storage bag work IF you be sure to zip ALL the ziplock carefully and completely. If you don't close it up correctly your valuables will get wet. The updated fanny pack is just what is needed when you don't want to leave your "stuff" behind. We like to walk the beach and when we get to Sea Side walk up to town for an ice cream or supper. With this pouch I can walk the beach, get in the water and still have some cash or credit cards for a meal or purchase. Your beach tote bag can be simple and functional or fun and stylish. Classic stripes, solid canvas or anchor designs are style options that can appeal to any beach lover.